I couldn't resist a Leap Day blog post! Looking back on the last time we had a leap year, I posted on 2/29/12 for Erin (of Treasure's Found)'s Challenge of Music Blog hop. 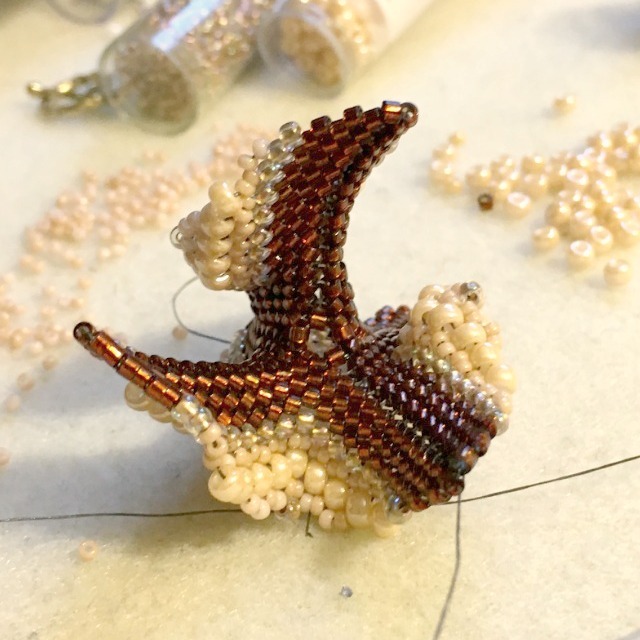 Here is a link to that post, in which I created a pair of earrings, that ended up getting published in a pretty neat book, Jane Lock's Art of Beadwork (there is a link to the book on the sidebar). No challenge today, but instead, a sample of recent activities based on the photos in my phone! Winter break took place in Massachusetts, so we took a fun trip to the Currier Museum in Manchester, NH. Jackson did his best "Blue Steel" post in front of this piece of modern art that appeared to have a "J" in the middle! It was a small museum but had some some great pieces in the various exhibits, included artwork by Monet, Matisse, Picasso, and many other well known artists. Did one more simple bracelet for my stepdaughter to consider for her bridesmaids' jewelry. Finally sent the package off today. I look forward to hearing her thoughts on everything! I also made a lame attempt at the late and great Justyna of Eridhan Creations' "Dessert Rose". This seemed to be curling improperly so I am sure I messed something up along the way. When I tried to manipulate it, I broke about 15 beads!! Finally - for an Earrings of the Month Club subscriber, I worked up these small disks! Hope you are enjoying this 'extra' day! Very nice! The extra day wasn't very special at all. Didn't do anything fun. That Desert Rose pattern is a tricky one - but hang in there. It's worth it. Love the wedding bracelet sample. My niece made her selection and approved the length on the test piece I sent to her so I just need to finish the other three. Take care, Amy! 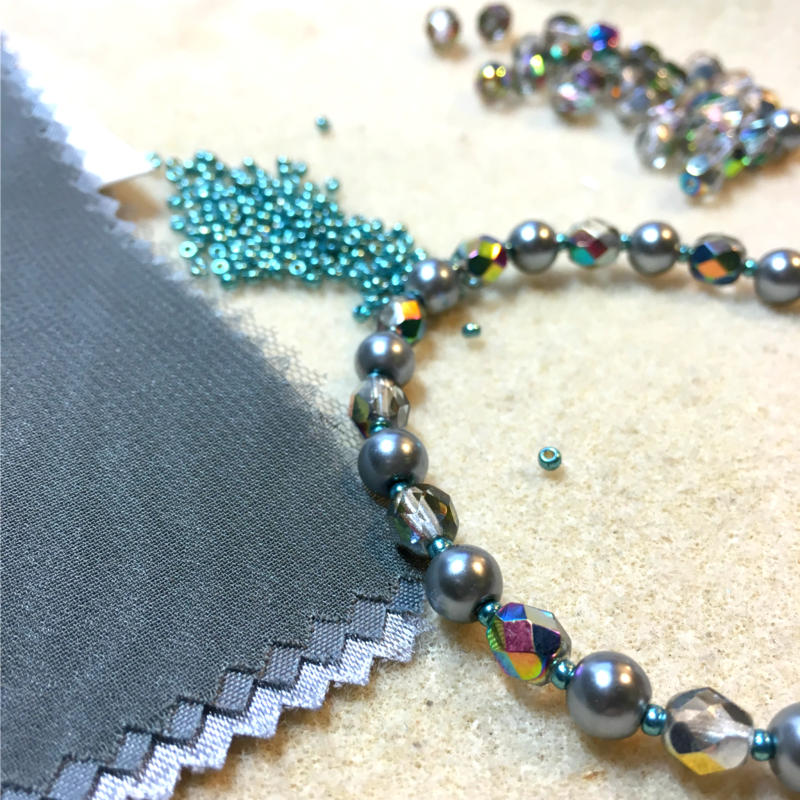 And the beads, even the botched beads, are lovely in my eyes. I remember that music challenge very well!